There is no better way to show your pet you love them than by dedicating yourself to keeping them healthy. 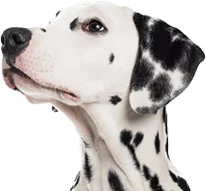 At Monon Animal Hospital in Nora, we’re passionate about assisting pet parents with the care of their loved ones and seeing them enjoy the maximum number of years together. Health and happiness go hand-in-hand, and with the help of a comprehensive wellness care program, your pet can enjoy both for many years to come. The physical exam plays a primary role in pet wellness care. It gives our doctors the opportunity to check your pet from nose to tail and measure their heart rate, respiratory rate, and body weight. This also gives us a starting point from which we can either investigate unusual findings or establish a health maintenance plan to keep your pet on track. If we see any problems, we can pursue in-depth diagnostics to confirm our findings and select the proper treatment. Common parasites such as heartworms, ticks, fleas, and roundworms can spread disease and make pets very sick. Heartworm disease is particularly dangerous, as it can progress for years without showing any outward signs and do irreversible damage to your pet’s heart and lungs. With year-round, full-coverage prevention, your pet has a much greater chance of avoiding these issues and remaining strong and healthy. Committing to yearly wellness exams for your pet increases their odds of staying healthy and living longer. This is especially important for senior pets because they are more susceptible to disease. Cats and dogs are skilled at hiding pain and illness, which is why routine exams are necessary. They give us the opportunity to detect problems early in their development and, in turn, find an effective treatment. Our goal is to help your pet live their longest, healthiest life by your side. You can expect our team to be fully dedicated to working with you and being your partner in keeping your pet healthy. To begin a wellness regimen for your pet, contact us today at (317) 257-5656.